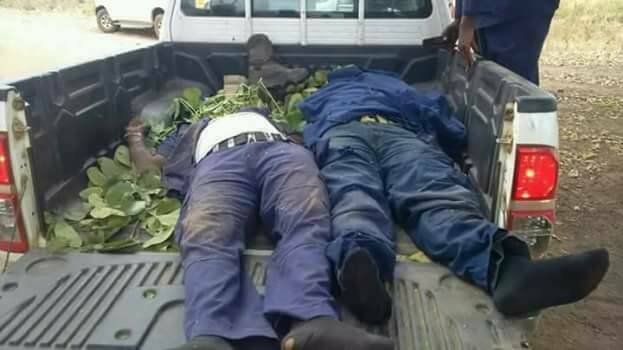 Two operatives of the Nigeria Security and Civil Defence Corps (NSCDC) deployed to the troubled Guma local government area of Benue State have been reportedly killed by suspected Fulani herdsmen. The incident, according to source, happened on Monday at Awamye community near Kasseyo village in Guma. Sources disclosed to our correspondent that the victims had gone to a stream in the community to take a bath when the Fulani herdsmen, who must have been studying their movement for sometime, suddenly opened fire on them, killing two on the spot while the others managed to escape. Our source disclosed that the Fulani attackers ambushed the victims from both sides of the stream. The deceased were members of the Joint Task Force (JTF) deployed to communities in the troubled Guma area to beef-up security in the wake of the Fulani invasion and killings in the area. It was learnt that the victims joined the Corps in 2017. When contacted, the Command’s Public Relations Officer (PRO) Peter Adakole said the Command had already deployed more of its men to the area to ascertain what happened, promising to brief media on new information as the investigation develops. If you are a native of this territory of the natives in the brainwashed terrorism mercenaries of fulani criminal terrorists nickname military, police etc., if you do not quit now to work under the natives Disintegrated Republics in the ongoing Revolution War of the natives under the natives Disintegrated Republics, you stand between two Swords- to go down in the hands of the enemy or with the enemy. The enemy- fulani criminal terrorists hidden under the dead fraudulent political name Nigeria are using their terrorism mercenaries nickname military, police etc. to attack natives of this territory of the natives. Only a brainwashed illiterate fool will believe fulani criminal terrorists with their terrorism mercenaries nickname military, police etc. will fight cattle rearers nickname herdsmen instead of defending them and defending fulani criminal terrorists Political Control over this territory of the natives. The terrorism mercenaries of fulani criminal terrorists nickname military, police etc. are working for fulani criminal terrorists Political Control over this territory of the natives under the dead fraudulent political name Nigeria, they are killing natives of this territory of the natives for fulani criminal terrorists Political Control over this territory of the natives- Slaughter them on your God given native land, Burn Down them all on your God given native land under Disintegrated Republics of the natives, Burn Down their barracks, vehicles etc., take everything in their possession- arms etc. God Is With Us!! !